They were planning to elope this fall. But the stomach pains Destini Schafer started experiencing about a month ago led to a diagnosis neither she nor her fiancee, Brandon Thomas, expected. Schafer had stage 4 cancer. But they would still get married. Maybe not in Jamaica like they originally planned, but married indeed. Last Friday, thanks to the quick work of registered nurse Ashley Shipley-Lovekamp, Schafer and Thomas were married at Memorial Medical Center in Springfeild, Illinois, where Schafer has been for the last three weeks. Shipley-Lovekamp put the wedding together in five days. "She's an amazing person, like a guardian angel," Thomas told ABC News of Shipley-Lovekamp. "She got tuxes donated for me and my dad, and a maid of honor dress. And wedding rings." The couple was married in a garden area of the hospital before their friends and family, including their 8-month-old son Noah and their three children from previous relationships, Thomas said. 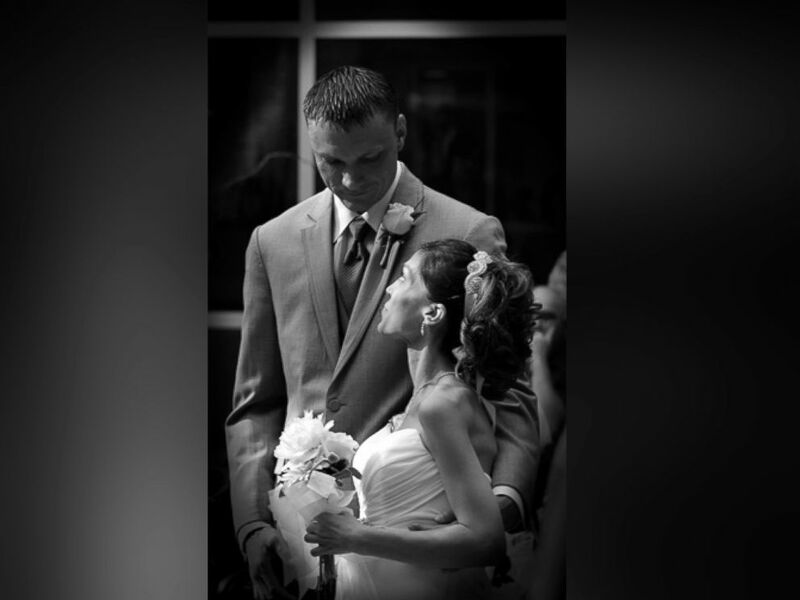 "From the first time I met Destini I knew I wanted to marry her," Thomas said. Shipley-Lovekamp told ABC News, “I wanted Destini to be able to have a wedding because we didn’t know how much longer she was going to have. I wanted her to be able to be happy and focus on something other than her diagnosis." Destini Schafer and Brandon Thomas were married at Memorial Medical Center in Springfield, Illinois thanks to the help pf a caring nurse. Thomas has set up a GoFundMe account to help pay for medical treatment. It's unclear what the future holds for his new wife. "We're just praying for the best," he said.